Last night marked President Obama’s eighth and final White House Correspondents Dinner (also affectionately known as “nerd prom.”) And as expected, after stepping up to the podium to Anna Kendrick’s “Cups” (i.e. “You’re gonna miss me when I’m gone), the Commander-In-Chief pulled no punches in his last-ever chance to really rag on Washington and politics in general. He got a dig in at Hillary Clinton and New York City Mayor Bill De Blasio after they made an inappropriate (and rehearsed) joke about CPT, or “colored people time,” last month. But then he hinted at what seems to be the inevitability of Clinton’s win in the general elections come November. He also took a moment to jokingly criticize socialist-leaning Bernie Sanders for distancing himself from the Obama presidency. He also took Hillary to task for trying too hard to relate to Millennials. And President Obama didn’t miss his chance to take a jab at Republican presidential candidate, Ted Cruz, by making a joke about himself. He also went in on the media for seemingly giving up on the art of investigative journalism. As for what the future holds for President Obama? He’ll probably take a cushy job in the private sector, where he’ll pull in a lot of $20 bills. 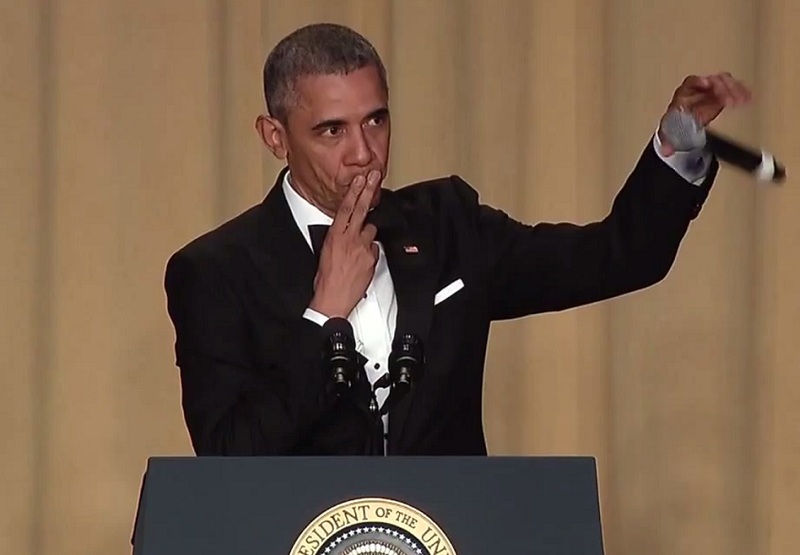 It was an incredible final performance for the man who some call the “Comedian in Chief.” Obama has been popular throughout his presidency for his youth-appealing personality and sense of humor, and the White House Correspondent’s Dinner has gone from minor event to A-list magnet in the last eight years. No matter which candidate from either party ends up in the White House next year, it’s hard to imagine anyone topping Obama’s comic timing and pure style.